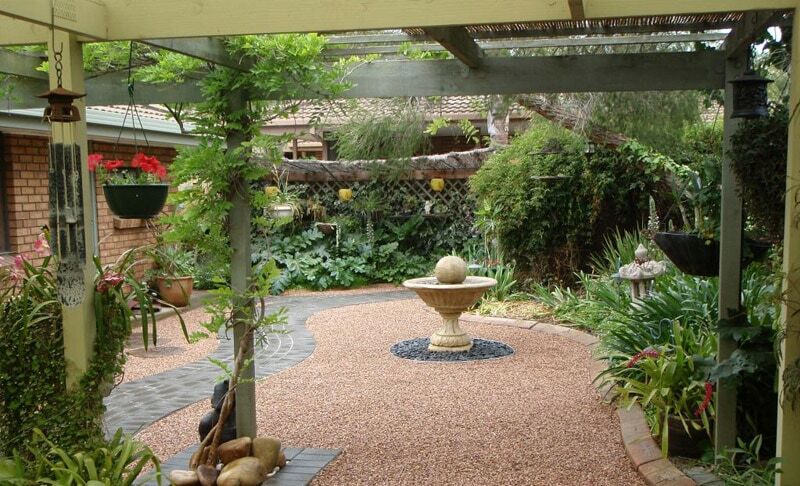 Gardening and Landscaping for Perth Homes. 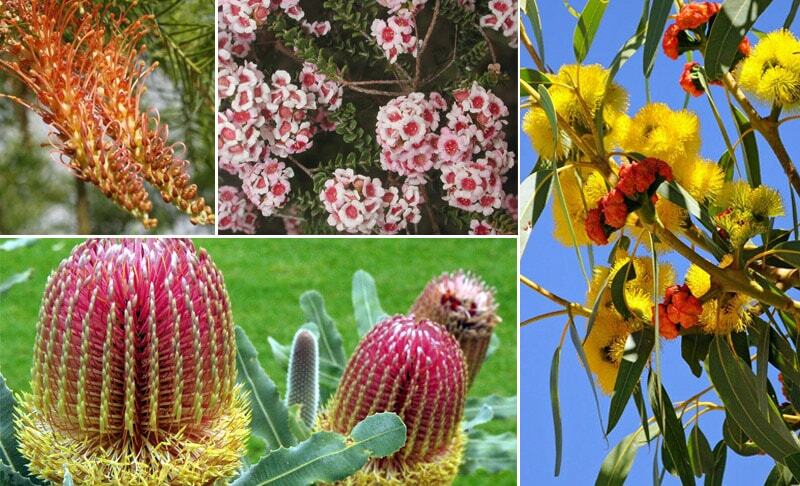 Western Australia has a huge range of native plants to resource and choose from, with our states flora being recognised nationally and around the world for being unique, easy-to-grow and visually appealing. However, demand for native plants is low, with many believing native plants are ‘too unique’ to work with and often look cluttered together. As gardens become smaller, shopping for smaller, neat native plants that are small, compact and shade tolerant end up being the best cost-effective choice for the long term. 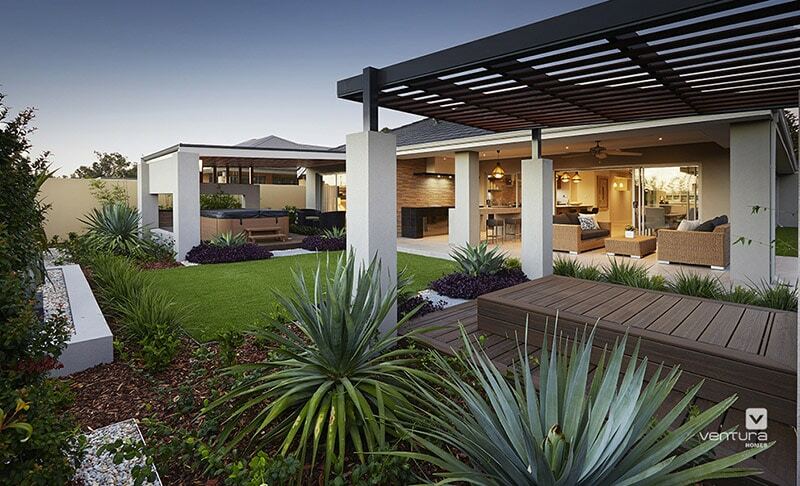 With Western Australia having a dry climate and water management being a never-ending issue, opting for native plants in your design that require less water end up saving you in more ways than one for years to come. 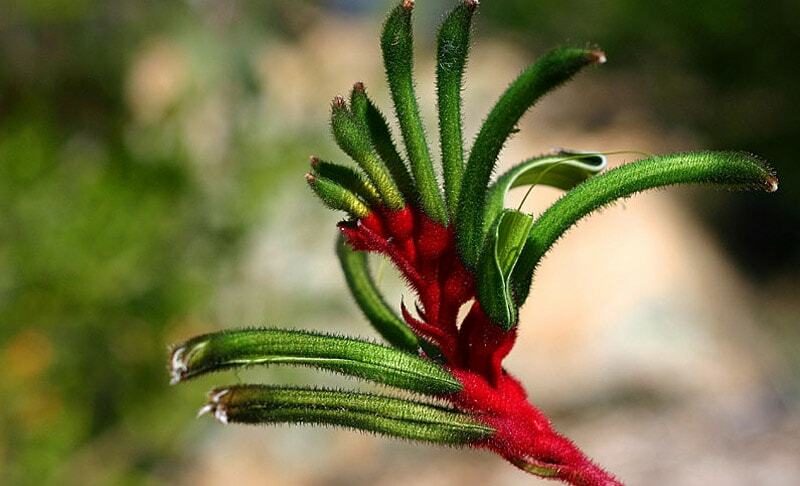 Did you Know: The floral emblem of Western Australia is the Red & Green Kangaroo Paw. 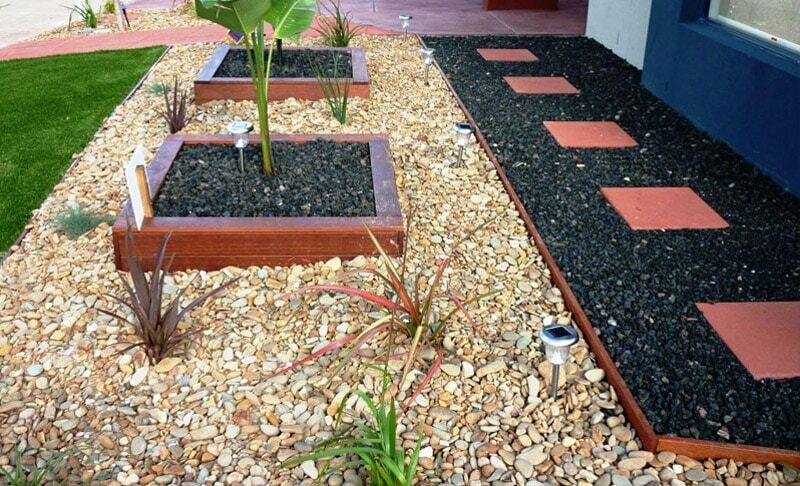 (Image Credit) Great for Gardening and Landscaping for Perth Homes. 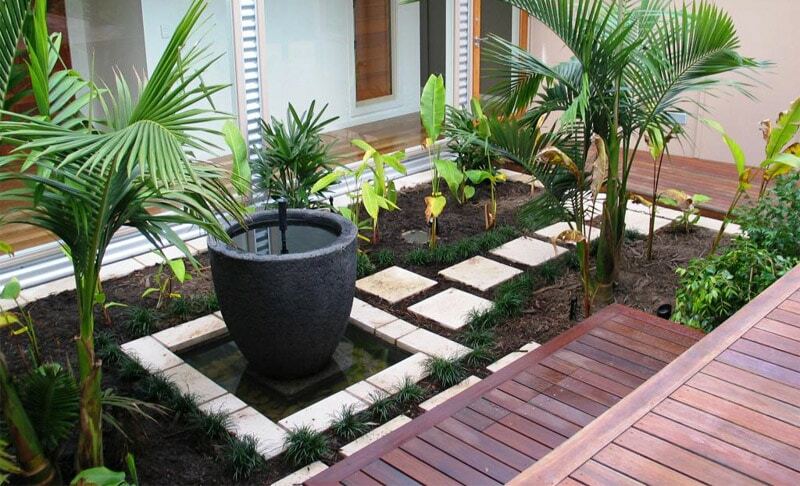 If you have never tackled landscape design before, you may feel overwhelmed by all the choices you can make. 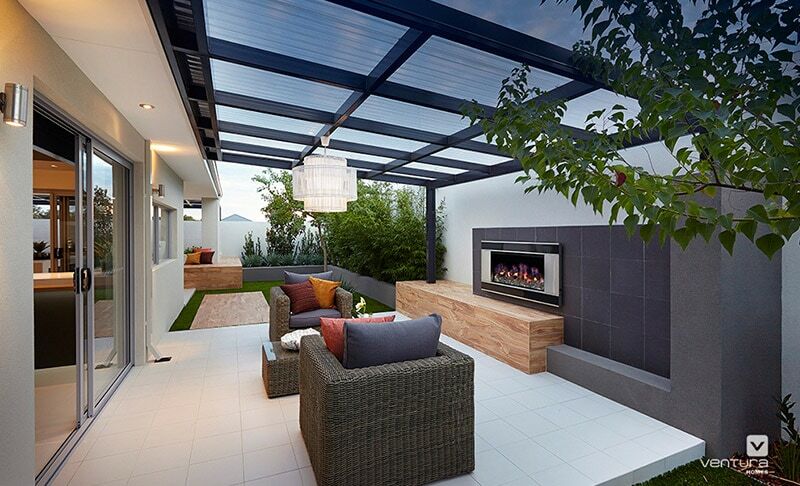 The same principles that guide your interior design setup inside should guide your designs outside too. 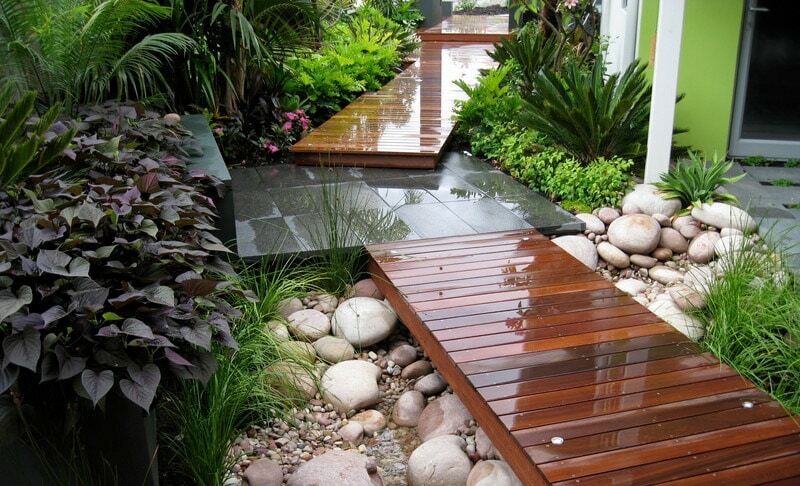 Remember that great landscape design is much more than just being aesthetically pleasing to the eye. It’s more about function and substance over looks (similar to how people think when dating actually), because if the landscape doesn’t function properly for its users lifestyle and interact nicely with their daily routine, then it will be under-utilised, useless and more of an obstacle than anything. Before you start planning your landscape, you need to ask yourself the questions of what will you be using the backyard for (i.e. entertainment, sports, peaceful retreat etc) who will be using it (i.e. kids, pets) and in what areas of the landscape will you most likely be spending most of your time. Before you impulsively buy the prettiest collection of plants you see in the nursery remember that the wrong choice of plants purchased and poor placement of them in your design may very well see them end up becoming liabilities. They may end up requiring expensive pest treatments, needing frequent maintenance, drinking up too much water, becoming obstacles in the pathway, or die long before they have fulfilled their natural lifespan. 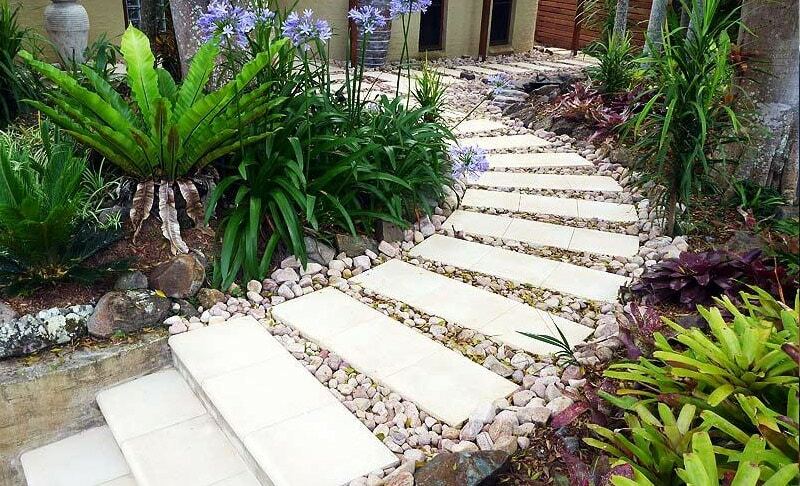 By incorporating smarter, more efficient landscape design strategies outside your home, you can help prevent all this extra hassle as well as conserve natural resources and preserve existing vegetation. For example, a properly placed tree can shade your house in the summer, keeping it cool and therefore saving you money on air conditioning; creating a natural windbreak with hedges effectively blocks strong winter winds; natural fences increase your homes privacy; organic mulch will promote plant health, a water tank will effectively collect and use rainwater and grouping together plants with similar watering requirement will promote sustainability. From Top Right Clockwise: Red Banskia, Red & Green Kangaroo Paw and Geraldon Waxflower. 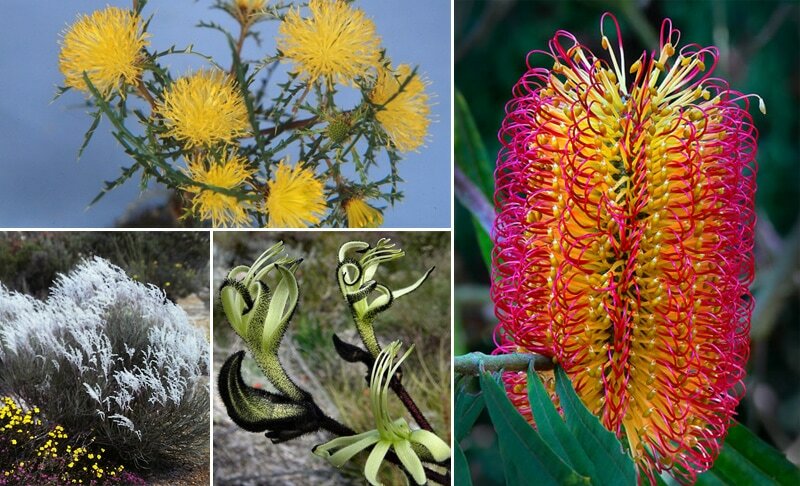 From Top Right Clockwise: Yellow dryandra, Banksia spp, smokebush & black and green kangaroo paw. 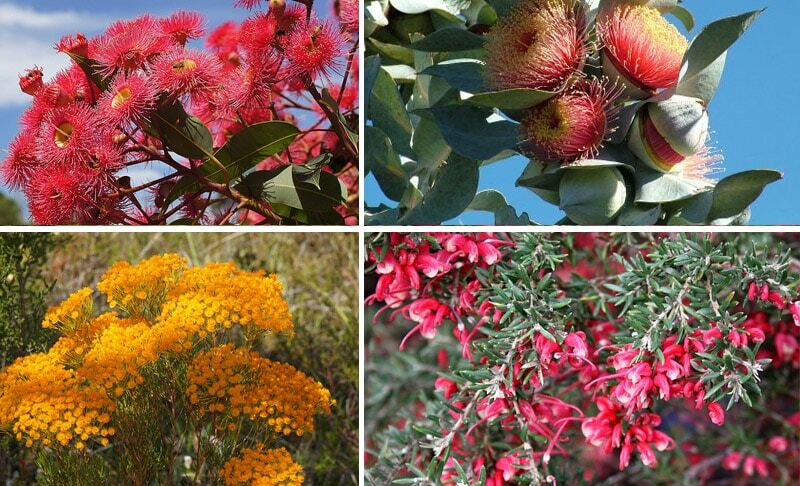 From Top Right Clockwise: Red-flowering gum, Rose-of-the-west, Morrison & Grevillea spp. 1. Plan for equipment access. 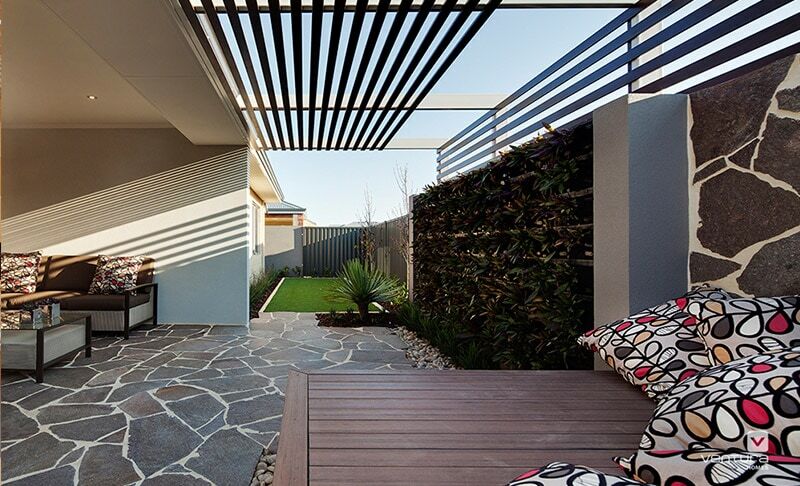 It is important to anticipate future access, whether it be mowers or future building projects such as a patio, at some point in your life, you will be faced with a project or repair that requires machines to get into your backyard. Plan for it in advance, or be faced with having to tear our some plantings. 2.Work around focal points. Focal points grab your attention and make you look. At its best, it directs you visually and makes you feel moved, engaged or surprised, moving you through the garden experience. Typically, a specimen tree or statue usually serves as a focal point in landscaping but there are countless other possibilities, the key is to find something that is slightly different from the rest of your landscape in form, texture or colour. It could be an architectural feature of your house or even a borrowed view. The trick is to make them stand out but not stick out, and still stay connected to the rest of the landscape, either through a repeated shape or colour. Don’t forget to also focus on scale and pacing. 3. 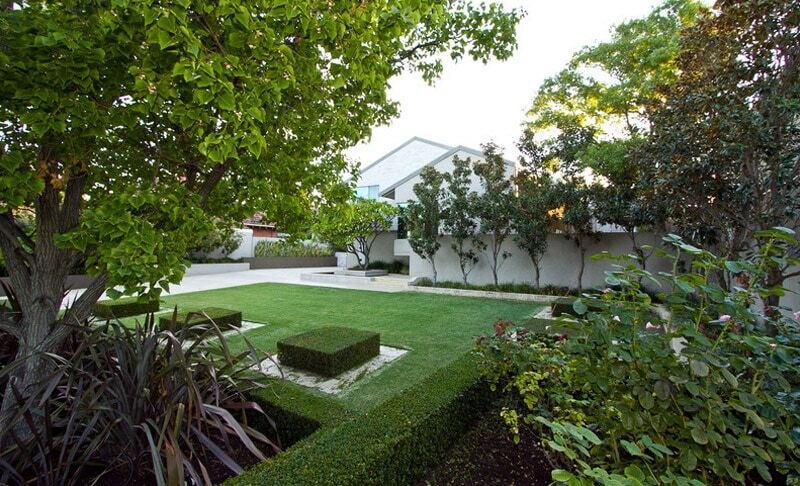 Leave formal landscapes to the rich and famous. 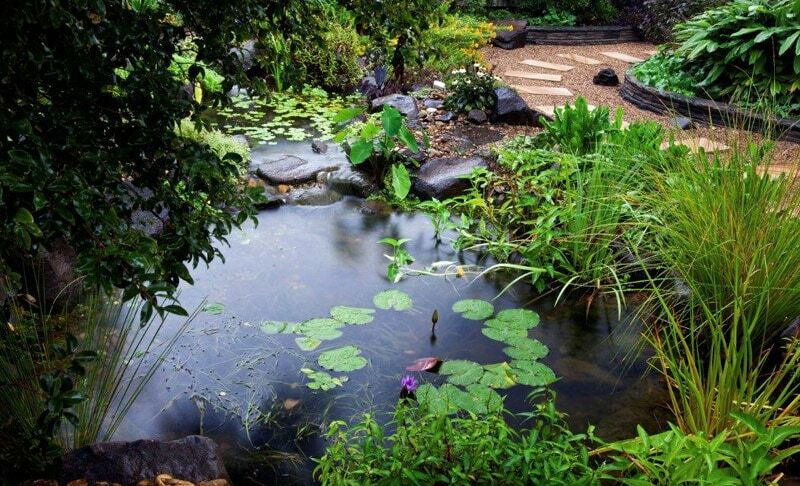 A formal landscape is one of the most challenging to create, and the upkeep can be arduous. Symmetry is difficult to maintain and hard to find matching replacement if one side dies. 4. Keep curves in check. 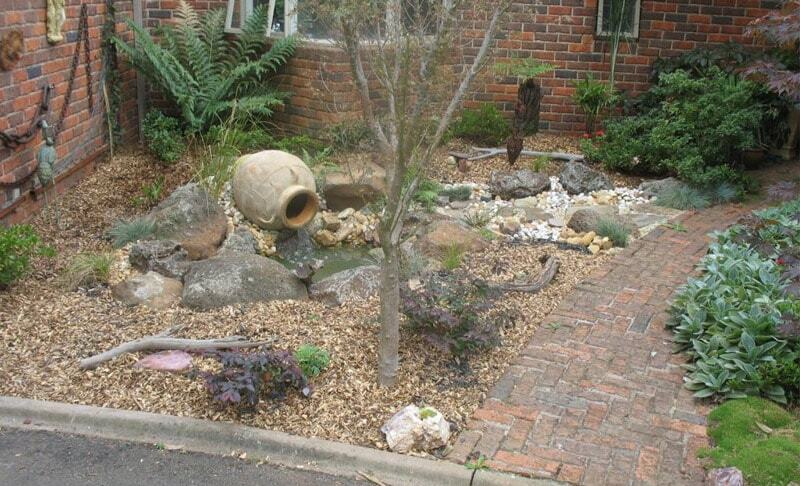 Adding curves will add interest into your garden, but do not overdo it. Long subtle curves are best. Limit geometries so that one dominates. 5. Add movement. A landscape without movement is like a painting. 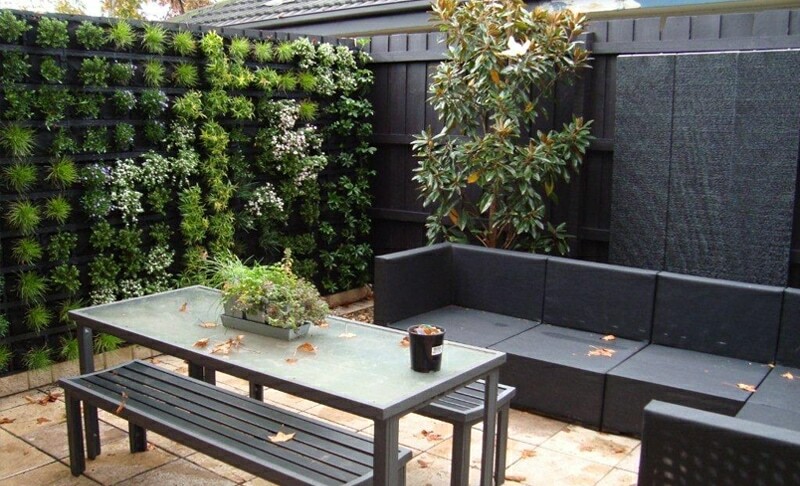 Paintings are fine for staying on a wall but a garden needs movement to add life and interest. Add flowers to attract birds and butterflies, and berry produces for birds, and patches of grass here and there for insects. 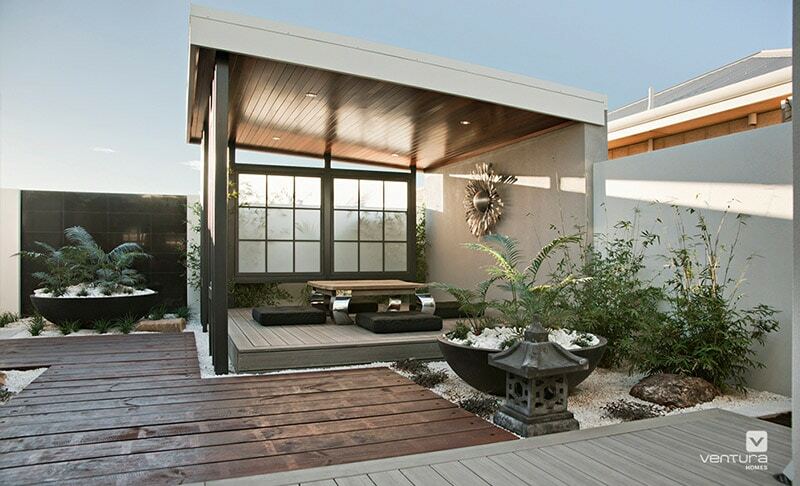 Create movement of life in your backyard. 6. Accent your house. 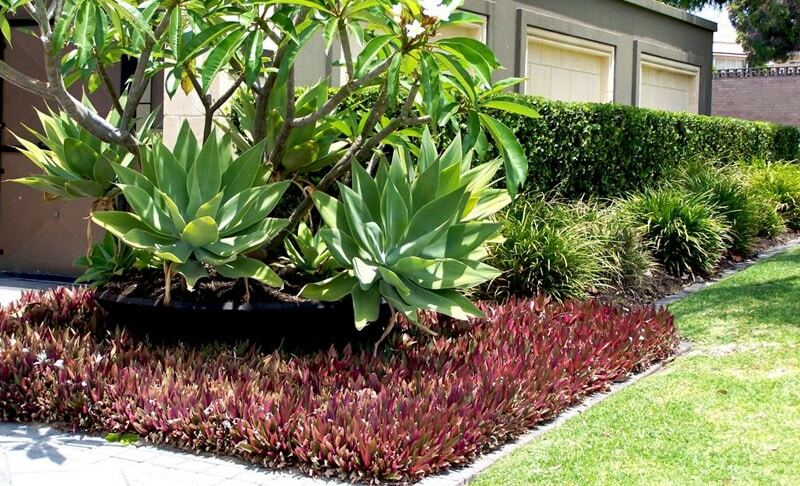 Unless your house is an architectural mansion of a masterpiece, it could benefit from some thoughtful placement of plantings to soften the edges and help it blend with the surroundings; yet still take care to ensure your house isn’t hidden by overgrown plants. 7. Take nothing for granted. When living in a new place for a while, you tend to accept existing features without completely noticing them, even if they become obstacles, disrupting your daily routine. Rather than designing around trees that are in the way, or overgrown shrubbery, consider removing them. You may discover new possibilities for planting. 8. Know the sun and wind patterns. 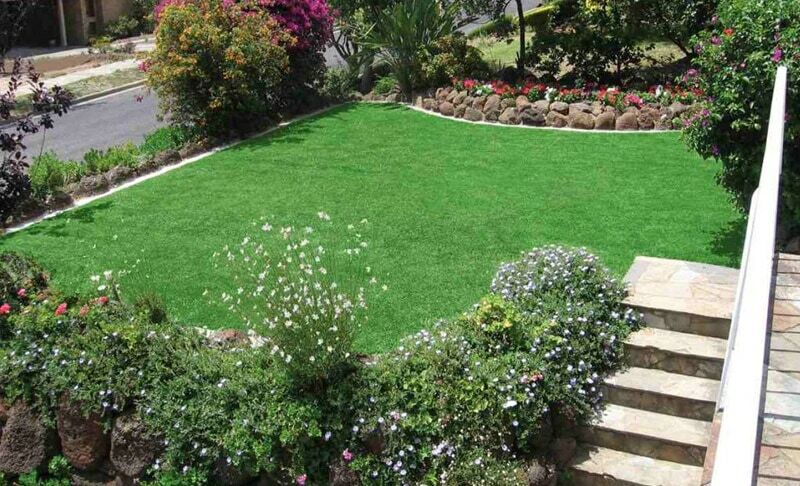 Your landscaping design should take into account what the sun and wind do at different times of the day and year. 9. Start small. Part of creating a landscape is slowly developing a plan and enjoying the process. You may start with a flowerbed first and then go from there. 10. Live with it for a while. 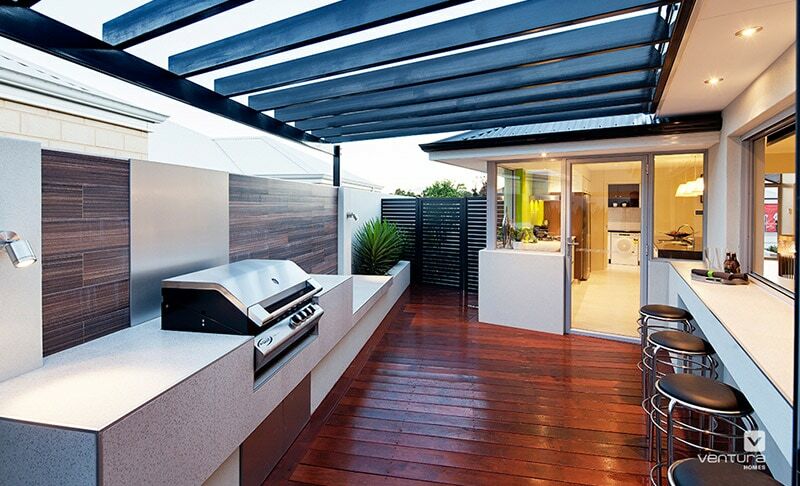 Impulsive quick conclusions about your backyard can lead to choices that may not work in the long term. 11. Make a list of needs and wants. 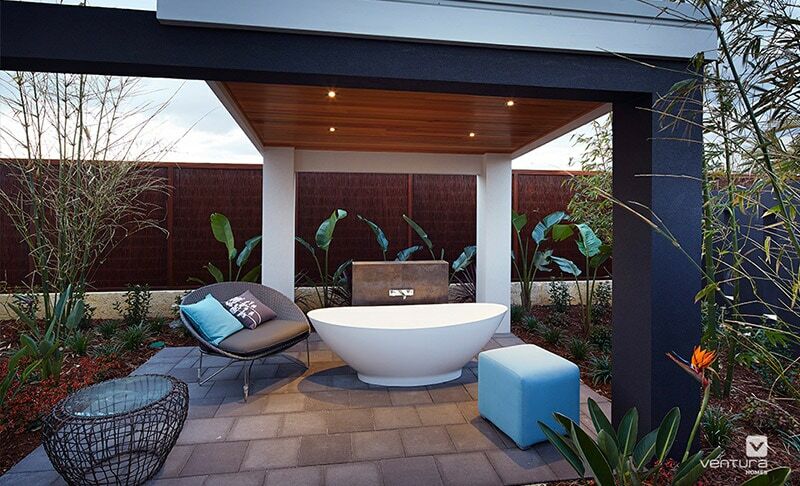 Do your kids need a play space? Do you want to grow vegetables? 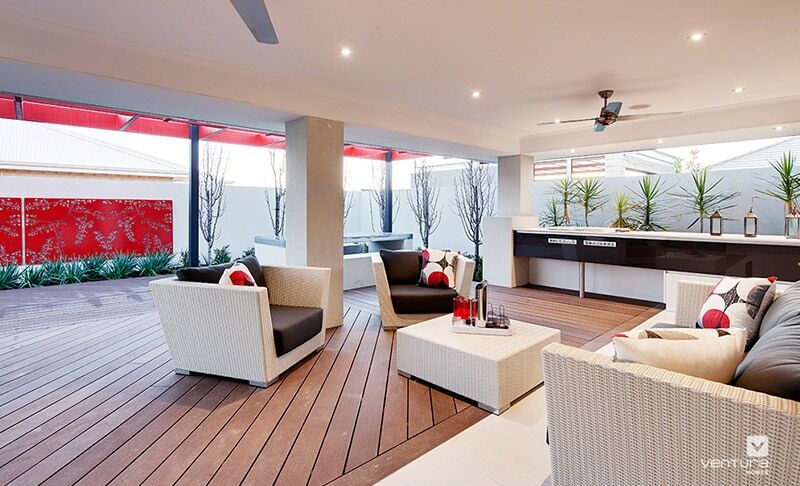 Would your family gather on a patio? Do some very rough sketches of the landscape design you have in your head. 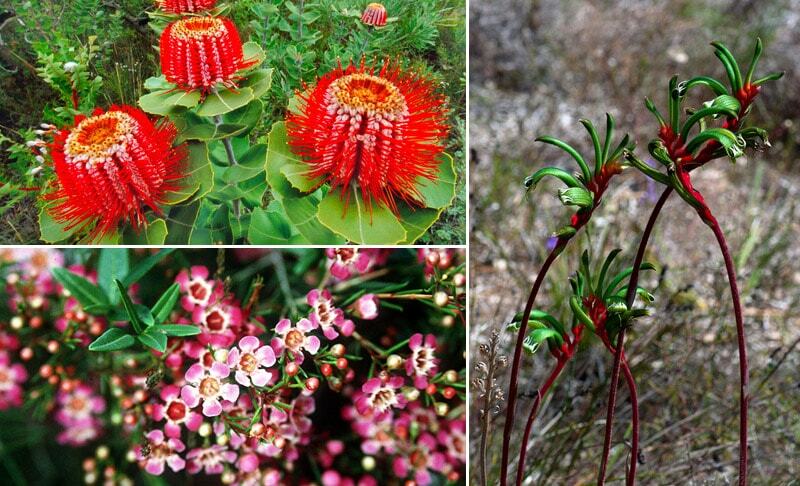 The Wildflower Society of Western Australia talks about where and how to get native plants. 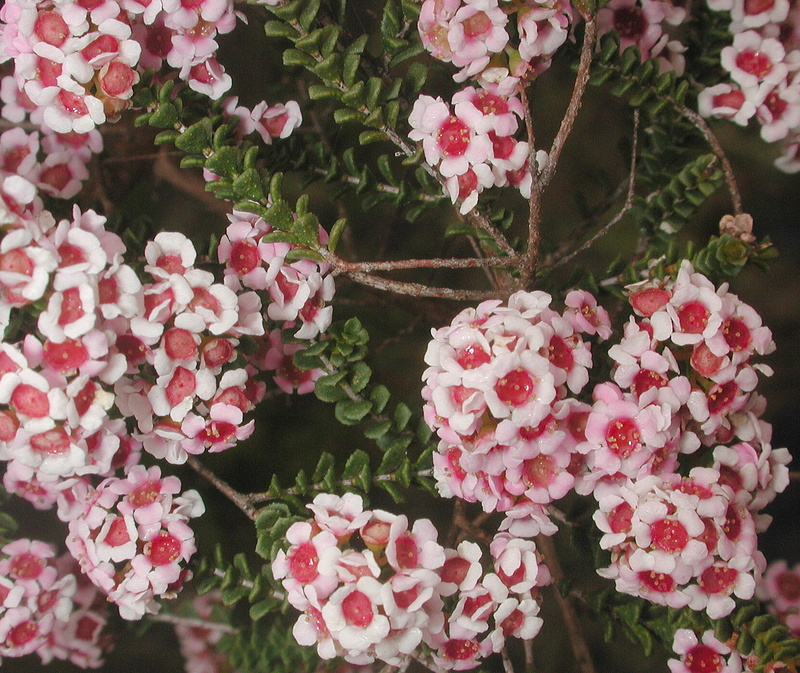 The Flora Base website has a scientific database of 12000 kinds of plants found in Western Australia, including maps, photos, descriptions and nomenclature. The Australian Government Department of the Environment for management of commercial harvesting of protected flora in Western Australia. 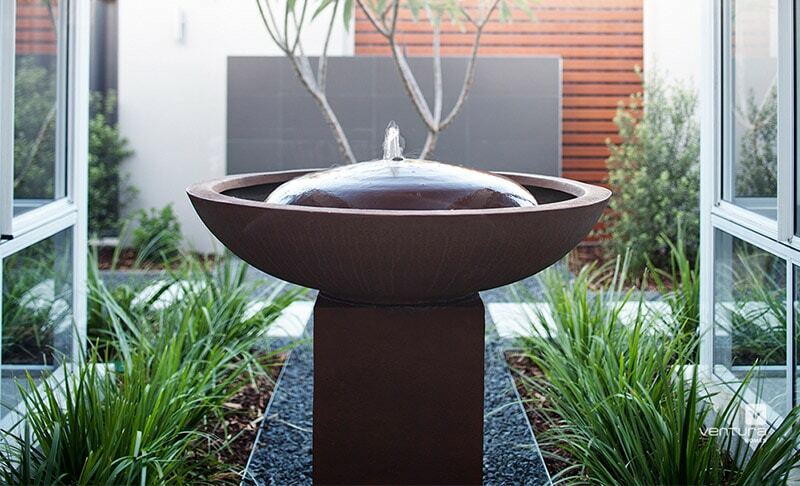 The Water Corporation’s waterwise plant search helps you search for specifically waterwise plants that use less water, save money on water bills, need less maintenance and are likely to thrive and survive in our Perth climate. Western Australia website gives information on wildflower tours so you can see up close and personal the large variety of native wildflower species are state has. Western Power give their top recommendations for native plants that are ideal candidates to grow near power-lines, saving you the potential hassle of having to hire a professional to remove them years down the track. 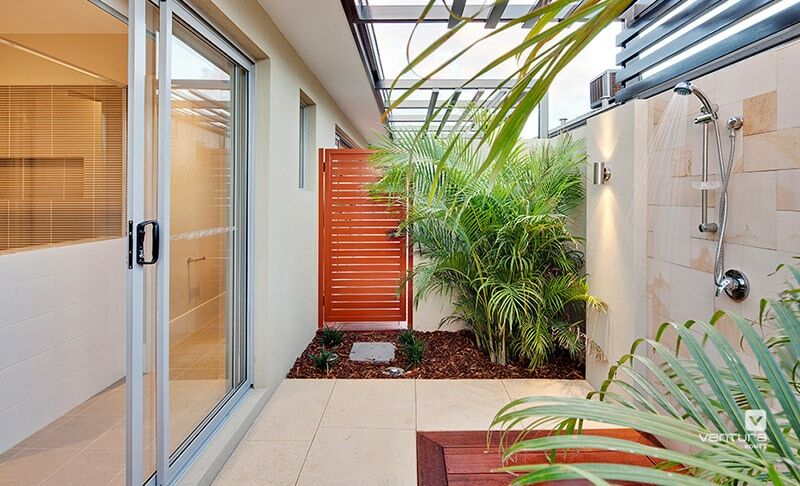 Scroll through landscaping and garden pictures below for inspiration. Do you have any great pictures to send through to us to be displayed below? If so email us here. 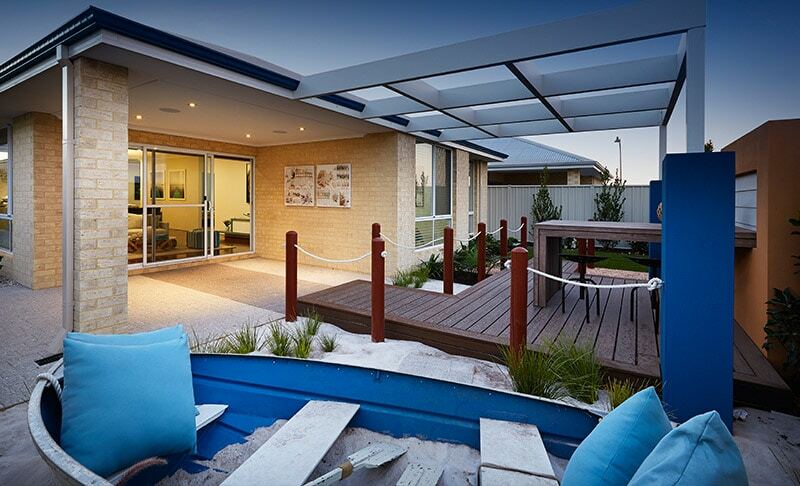 Perth is known to have one of the greatest beaches in the world, so why not incorporate white beach sand into your backyard? 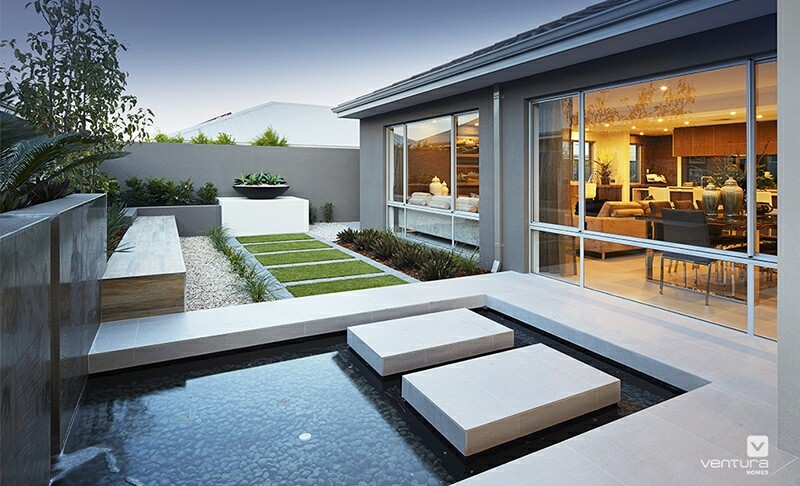 Before you plan your landscaping, check with your developer on what landscaping choices you have.